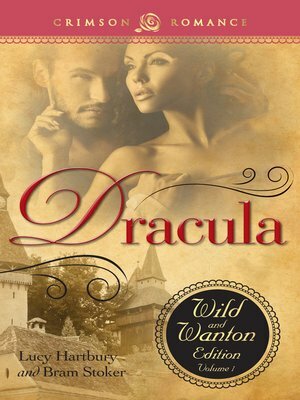 Solicitor Jonathon Harker is lucky to escape with his life after he is duped into visiting Dracula's castle. But while recovering from his ordeal, he doesn't realize that his enemy is travelling to England, where his young wife-to-be and her friend, Lucy, reside. When Lucy is struck down by an unknown illness that takes a sinister turn, her friend and doctor, John Seward, is forced to call in his old teacher, Van Helsing, to solve the mystery. Van Helsing's horrifying conclusions throw them all into a desperate battle against one of man's most cunning and terrifying foes: Count Dracula. Always a spicy novel, this version includes scenes that Victorian prudery stopped Bram Stoker from writing himself. Have you ever wondered what really happened in the castle between Jonathon Harker and Dracula's women? Or about the doomed relationship between Arthur and Lucy? Here is the famous horror classic revealed in all its sensual glory. Bram Stoker was born in 1847 and wrote twelve novels, of which his most famous is Dracula. Whilst known primarily for its gothic horror, it is also a sensual novel about love, courage, and friendship. Lucy Hartbury grew up in England and loves to write passionate contemporary and historical romances. A keen reader of the classics, the Victorian gothic novel Dracula is one of her favorite books.